Who can be a Franciscan Friar? How do I become a Friar? Fr. Mike and his fellow friars from St. Camillus Parish in Silver Spring, Md., go white water rafting on the New River in West Virginia. Last year, our friar community made the commitment to get out and monthly try something new together — something outside our collective comfort zone. A few months ago, it was a cooking class. Last month was demolition with Habitat for Humanity. 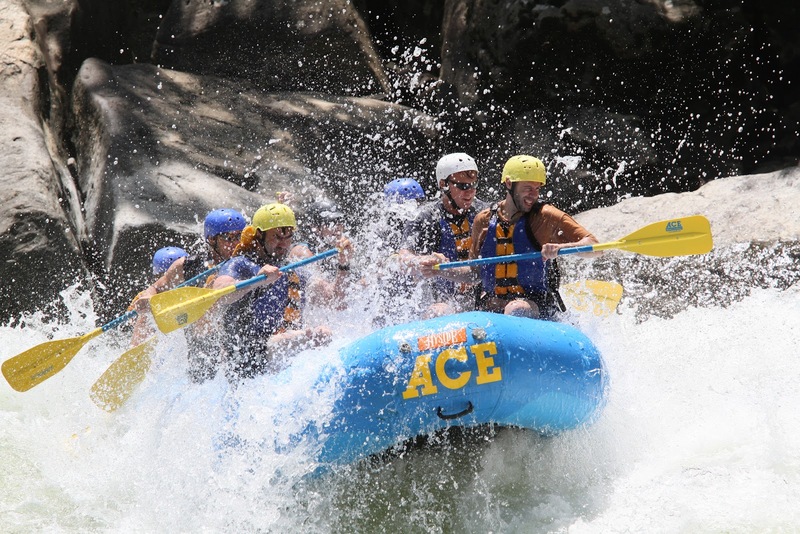 This week, we went camping and white water rafting on the New River in West Virginia. A couple of wonderful days of fraternity, reflecting on our lives and ministry together, connecting with the Creator in creation, watching the Spirit go wild and having just a whole lot of fun. For my Cuban and Congolese brothers, this was their first time rafting, and poor Jean Marie can’t even swim. I said to him last week at breakfast, “Is my brother excited about our trip next week?” He looked at me, smiled sheepishly, and said, “Not so much.” But he went because this trip was primarily about spending quality time together. We spent the six-hour car ride talking about our life in light of the Rule that Francis gave us 800 years ago, and reflected on how we could be more faithful to his original vision in our time and place. These monthly sojourns are a reminder for us that our lives as friars, as Christians, are about moving beyond our comfort zones and embracing the sense of adventure that the Spirit has in store for us, both here in the parish and in the world. It is not about maintenance; it’s about being creative, being adventurous in our ministry. When we see our Christian life as a mission — an adventure — and embrace it as a community, the experience is enriched, fears are released, creativity is unleashed, we are transformed and the Kingdom that Jesus came to proclaim becomes a little more a reality. This evening, I will meet with 19 members of the St. Camillus parish community who will go off into St Francis Builds mission this July to Trinidad and Tobago building houses with Habitat for Humanity. Most of these folks have never done anything like this before, and I’m sure they have some concerns. They are, however, a people who desire to leave their comfort zones in order to explore what is means to be a community in mission, a community embracing the sense of adventure that is at the heart of Christian life. If prior trips are any indication, by the end they too will be changed by the adventure. So where is the Spirit calling you to stretch yourself, to leave your comfort zone and to recapture the sense of adventure in your life? Fr. Mike Johnson, OFM, is pastor of St. Camillus Church in Silver Spring, Md. The above reflection was posted on June 3, 2012, on his blog, Reflections of a Franciscan Gardener, which focuses on finding the presence of God in everyday life. We are the Franciscan Vocation Ministry of Holy Name Province. What's a Vocation All About? 129 W. 31st St., 2nd Fl.